I was on my lunch break the other day, looking for something I'd seen in Melbourne for a friend. Then I stumbled across this tea towel. Isn't it great? 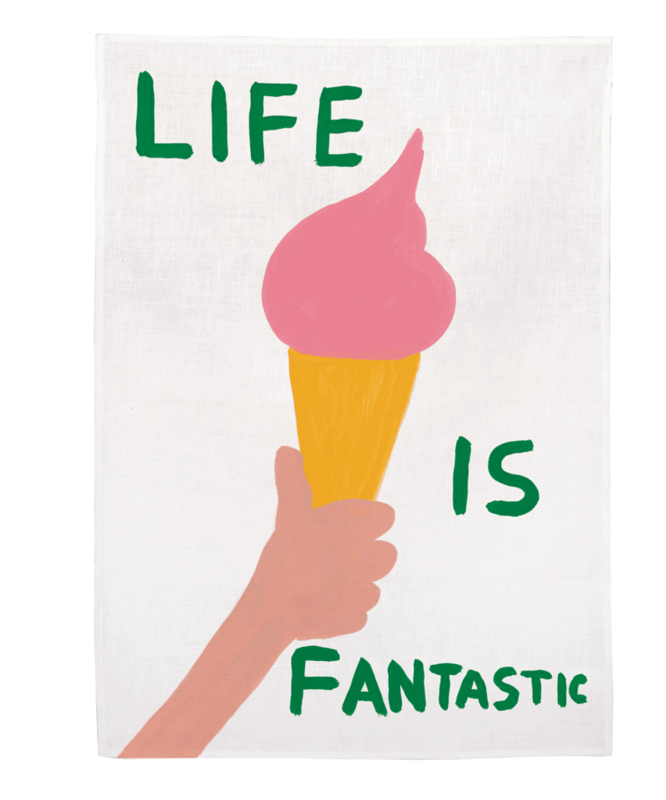 It's a David Shrigley design, and part of a series that features a few of my favourite artists. It's a little pricey but I love the idea of it cheering up the kitchen in our new place, which has its good points (pale pink tiles!)... and brown marble lino.